Please let us know if there is anything in particular you are interested in doing, according to the descriptions below. However, you must be prepared to step in wherever your help is needed. This applies to all staff. 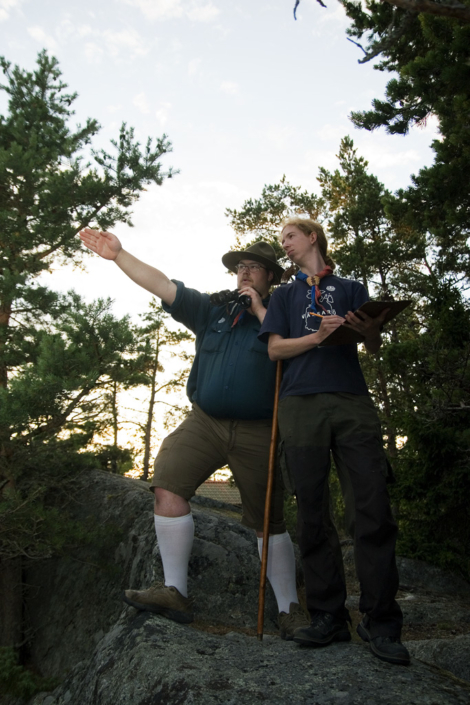 As a member of the Programme Staff you get to guide groups on the Trapper Trail and the Nature Track. You instruct in handicraft and lend/sell material to visiting groups. The Programme Staff organize certain activities for the groups and does maintenance work on the trails. We have two kitchen crews who alternate; you work from lunch to lunch, then you have 24 hrs off. This is the only task where you have scheduled time off. You cook three meals during your 24 hr period, and usually the dining hall will have between 100 – 250 eating guests. There is a cook/chef in charge, a volunteer like yourself, and 4 – 5 other assistants. Some kitchen crews consist of previous groups of friends but most often they consist of ”odd” people who get to know each other well, doing a good job and spending time off together. We are very proud of our food supply service! 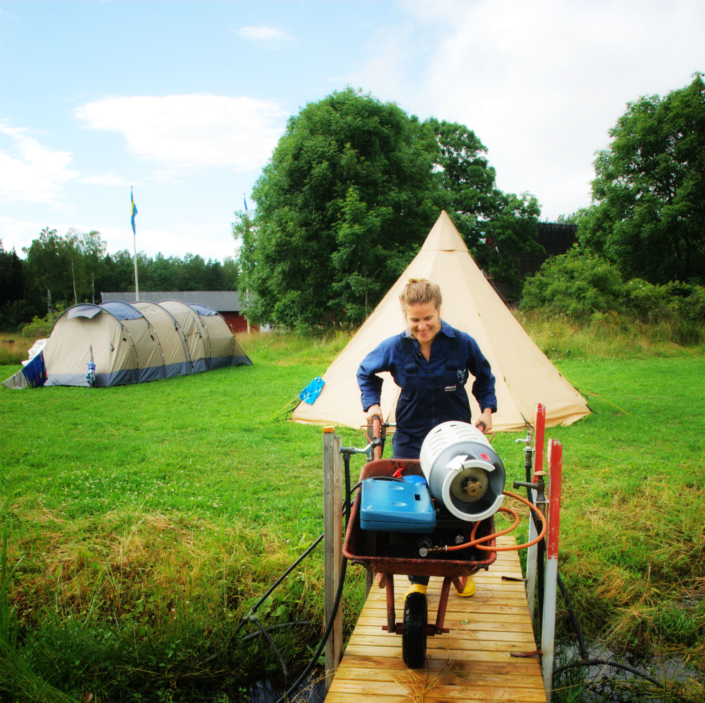 It holds a very high standard and our camping groups are usually amazed at what it can do for them! If you work in the Food Supply group, called ”Inten”, you will measure and package food for the camping groups, prepare sandwiches and soup for the new groups arriving and for those who are leaving. You will most certainly be involved in preparing much appreciated picnics for staff night-out, etc. As a Baker you make all the bread that is consumed on the island, including cookies and goodies. There will probably be 2 – 4 people working as Bakers depending on age and experience. You may have to work the night shift. ”Fladan” is the name of our sailing and canoeing harbour. 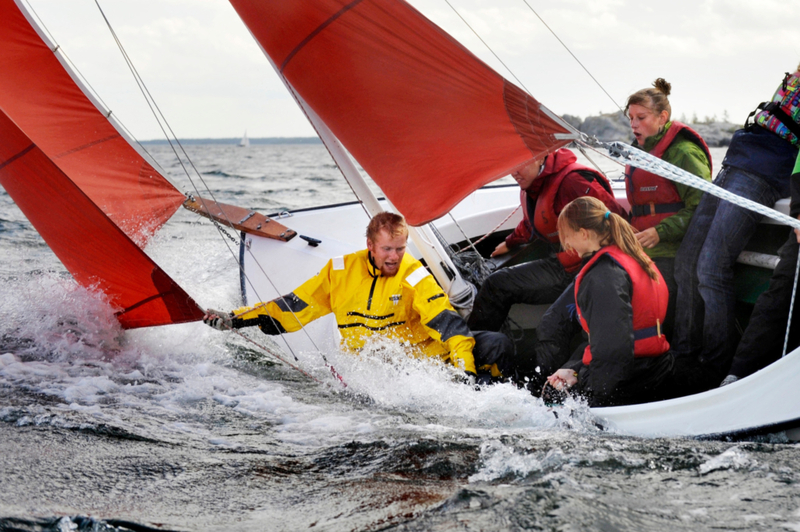 If you work in Fladan you are one of the sailing instructors responsible for the theoretical and practical instructions on land and sea. 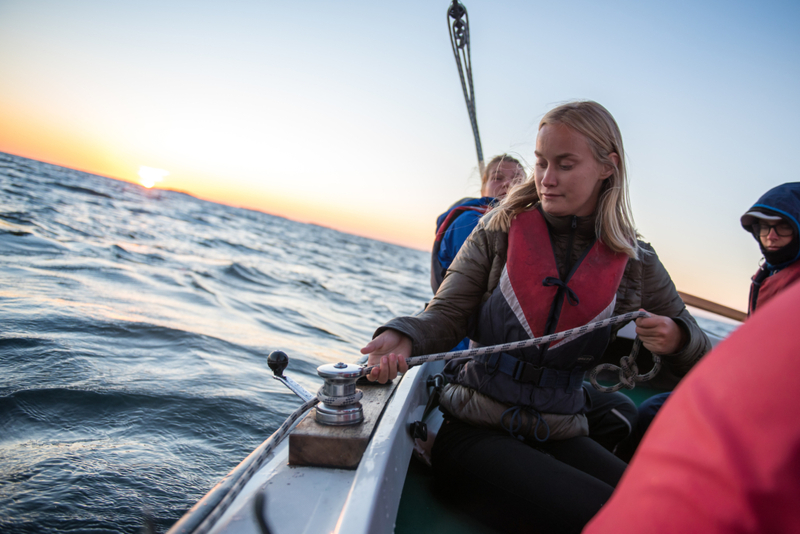 You will also be working with the maintenance of the boats and the canoes. Priority is given to those with experience in the field. Please make a note on the application form. 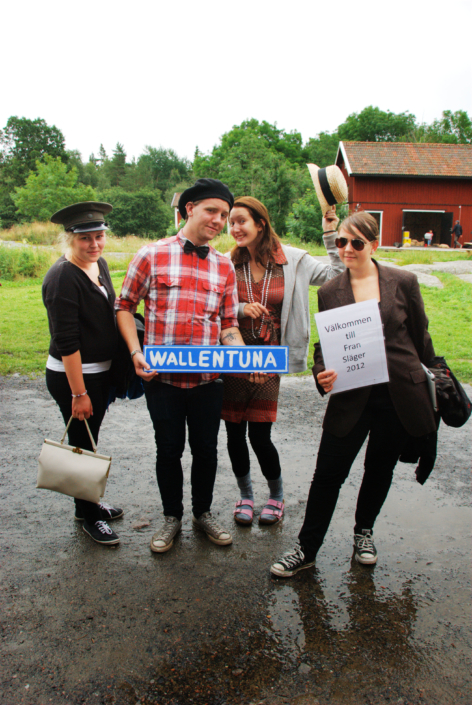 Services or ”Lillvärdinnor” (hostesses) as it is called in Swedish. You take care of the communal laundry, of the cleaning of certain buildings (e.g. showers, Chapel, sauna, dining hall etc), you make the flower wreaths for birthdays and help the tractor crew with cleaning the toilets. ”Horse” has got its name from the term ”arbetshäst”, or work horse. You work more or less independently on certain projects. Perhaps you are a carpenter, repairing our houses, or an electrician or just a generally handy person fixing things. If you have a certain manual skill, be sure to mention it! Tractor is what it sounds like, the tractor crew, who take care of all land transportation, be it luggage, food, garbage or latrine. It is often physically hard work. 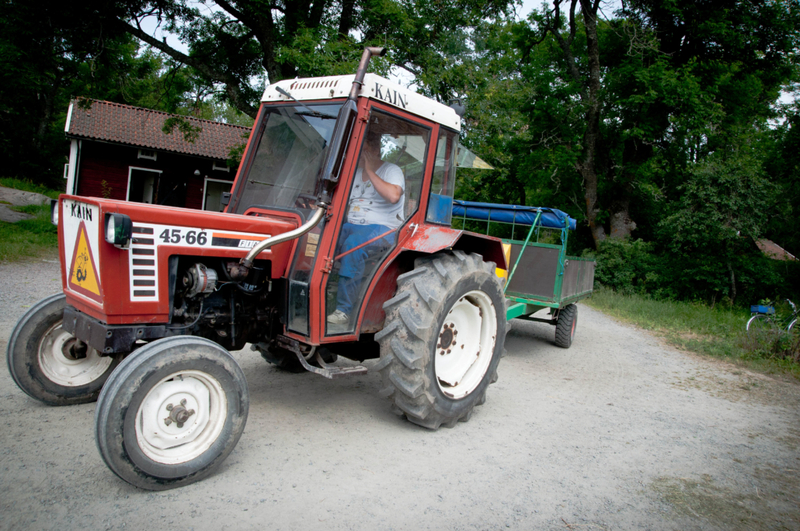 We have several tractors on the island and after you have become acquainted with the arts of driving a tractor on Vässarö, you work in smaller groups, alternating between the different kinds of rounds required. You work close to the Services group.